Before I get into this month's freebie, I wanted to take a moment to tell you that this will be my last monthly freebie. I still plan to release freebies on the blog (hopefully, many), as I LOVE creating items to share with you, but I am waiving the white flag and admitting defeat. I just can't keep up with a schedule for these any longer. The truth behind this decision is this: when I started my freebies over two years ago (woah), Project Life was fairly new. Not many people knew about it, and I started designing freebies to coordinate before it really took off. Now there are tens of thousands of people doing Project Life and hundreds of amazing and talented designers out there. There are so many beautiful, gorgeous, creative freebies and items for purchase on the market that I'm finding it incredibly difficult to keep coming up with something new to share with you all each month. I mean, if someone else has already done it, and done it better, what is the point? Not that I don't have ideas in my head. I have lots of them and I do intend to create them, either for freebies or for sale. But when I start thinking "oh man, I have to get a freebie idea for September," I get anxious. Knowing a deadline is looming and I don't have an idea or the time to implement one causes me so much stress, because I want to do nice things for my readers. Take August, for example. I was gone for half of the month, and I just started taking on a new job at work that's currently having me work long hours, including at home. The only time I had to put together today's freebie was 8pm last night, and I finished it at 11:15pm. Talk about working up to the deadline. I'm not complaining, not asking for sympathy, just trying to be honest. I am blessed beyond words by the supportive readers I have here and I truly enjoy being able to give back to you guys. But I would MUCH rather take my time when I'm in the mood to design and create something gorgeous to give to you guys, than to rush at the last minute. So going forward I'm going to share freebies as I design them. If anyone has any custom requests they'd like to see, by all means, please shoot me an email at melissa@avegasgirlatheart.com and let me know. I'd be happy to give it a shot if it's within my abilities. I did ask on the blog's Facebook page for requests for September and I didn't get any responses. This leads me to believe that you too might be overwhelmed with all that is out there! This is a 4x6 photo template. I found it perfect for baby photos because of the pastel color palette but since you can customize it a bit with Photoshop you could change colors and make it work for anything you wish. There are two files this month. One is a layered PSD template for Photoshop and Photoshop Elements users. Each item is a layer (background, bunting, tag, photo border, etc) so you can turn them off as you wish. Drag your photos in and use clipping masks to insert them. I've done a previous tutorial on how to use these if you need a refresher. You can add text or a title or other embellishments if you want to get fancy. You could even turn off the background paper and drag in your own. The second file is a JPG that could be printed if you don't have Photoshop. You can print it out (I'd recommend card stock or perhaps some sort of presentation paper or matte photo paper), then add your photos on top of the black boxes. Or cut out the black boxes with a craft knife and put the photos behind the printable sheet. Click here to download the PSD file. Click here to download the printable JPG. Don't you worry about making these regularly. I'm so SO very pleased that people who have skills take time making and sharing these. THANK YOU!!! I'm really new to PL, it really does not exsist here in Finland. I had to order everything on line, and shipping is fairly expensive from the US, so I LOVE having some freebies and getting ideas from the web. Freebies are awesome which is why I started doing them in the first place- I always appreciated when I found someone who gave their creations away because they loved to design. And I like doing the same. There will be more! I actually have a little one in mind already coming soon. Thank you for sharing this great freebie! And I completely agree with Ewa. I can also imagine that working with deadlines is not always good for your creativity and causes a lot of stress. So, enjoy that you don't have deadlines anymore :-) and I wish you a lovely Autumn. Thank you so much for your comment! Happy Autumn to you! Are you kidding?!! I'm very grateful for all you share and I seriously doubt if people expect you to indefinitely continue to provide such awesome freebies on a regular basis, that's just too much work. Looking forward to your next post. Have an AWESOME September yourself!! 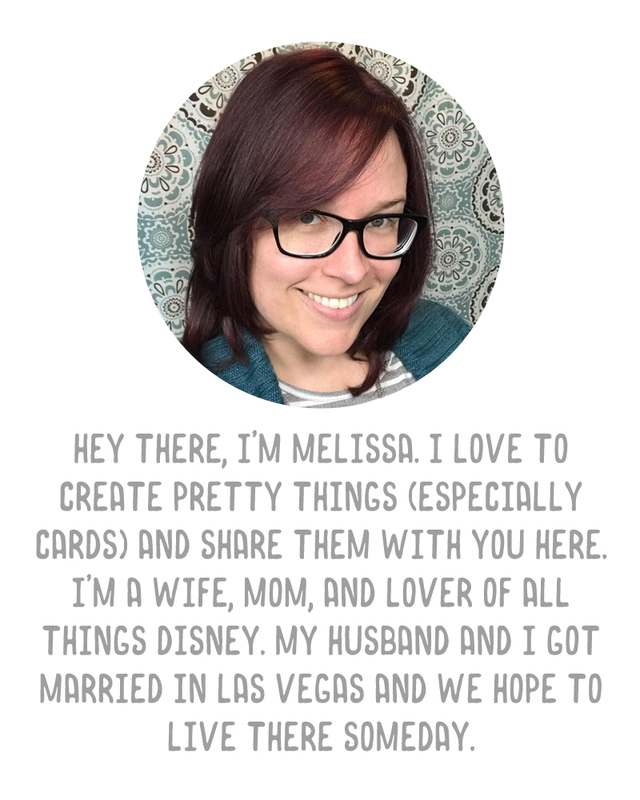 Melissa, I LOVE your freebies and am extremely grateful for them but that's not the only point. I also LOVE them because I LOVE you. I love your stories, I love your other work I love to see Austin grow up, I love the peek you give us in your life every week with sharing your PL. A freebie every now and than will be wonderful, an unexpected present. ;-) Thank you sweetheart. Like others have said, I appreciate the freebies that you've shared over the years. I've used many of them and am always thankful for your generosity when I do. I think we all understand what an undertaking is to maintain a blog and to create freebies on top of that is going above and beyond. I'd rather get a "really good" freebie once in awhile that you enjoyed creating than one you felt obligated to create every month. Again, thanks for all the sharing you've done with us readers.